To meet the requirements of the clients, we manufacture and export a wide array of Stone Fountains. These are manufactured by our professionals using best quality material which we procured from the trusted vendors of the market. Moreover, these are known for their fine quality. 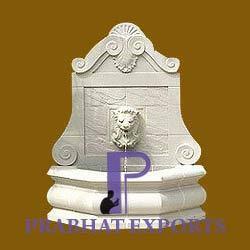 As one of the renowned organizations, we are engaged in manufacturing and exporting a wide variety of Stone Fountains. These products are stringently checked and are authenticated as per the international norms to render maximum client satisfaction. 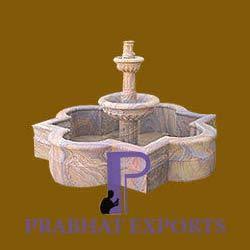 Offered fountains are highly demanded in market due to their beautiful designs and various sizes. 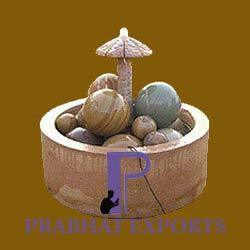 Keeping in mind diverse requirements of the clients, we manufacture and export a wide assortment of Stone Fountains. The offered products are designed under the skilled expertise of our professionals to meet the variegated preferences of our clients. Offered products are highly demanded in market t due to their availability in various designs and sizes. We are one of the highly acclaimed companies that manufacture and export an extensive range of Wall Fountains. Our products are finely designed and ensure longer functional life. Offered products are widely used in various parks, bunglows and many more places. These are easy to install and are well known for their excellent quality. For the diverse requirements of our clients, we are engaged in manufacturing and exporting a wide variety of Tiered Fountains. 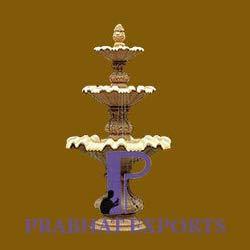 These Tiered Fountains are available in attractive designs and eye-catchy patterns. These products are extremely solid in state and offer hurdle-free performance. We are offering these products at reasonable rates.